The European Parliament adopted the final version of the “plastic strategy” of the European Union. According to the new document, plastic disposable tubes, cutlery, cotton buds and micro-plastic in cosmetics and detergents, as well as biodegradable plastic will be banned in the EU. This is reported by the publication Recycle. The European Commission adopted the first European strategy for protecting the environment from waste from plastic materials in January 2018. The strategy is based on the idea of ​​a cyclical economy: to produce less waste, and to recycle most of the waste that is thrown away. 597 eurodeputies voted for the strategy, against – only 15. “We eat, drink and breathe plastic everyday. On the other hand, without plastic, we can not imagine our life: with its help we can, for example, store blood in stations of blood transfusions or avoid spoilage of food. But it’s about changing our treatment of plastic and its consequences. We need to change the production and consumption of plastic, “European Maj. Karl-Heinz Florenc stated. A separate point of the strategy, which the deputies will finalize in the near future, is the use of biodegradable plastic. According to the parliament, biodegradable polymers do not solve the problem of pollution and should not be used in the European Union. “What is important is that the EU does not consider biodegradable goods as an adequate substitute for disposable plastic. This is really a fake alternative: biodegradable polymers either break up into microplastic particles, exacerbate plastic contamination, or are made literally from food like corn starch, “added Aleksei Kiselev, expert of the” Zero Waste “project of Greenpeace. The problem of using bioplastics is that as a result, the products either break up into microplastic particles, which aggravates the problem of pollution, or their production requires the involvement of a significant number of agricultural areas. 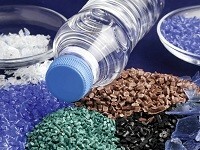 At the same time, biodegradable plastics are much inferior in properties to traditional polymers, Rupec writes. According to experts, the share of bioplastics in the market will remain insignificant and by 2021 will reach the level of 1.5%. In this regard, the trend towards ecology is more closely connected with the creation of a closed cycle economy and the involvement of secondary traditional plastics in circulation than with the development of the concept of biodegradable polymers. And Canada joined this initiative. The country plans to develop the production of bioplastics from vegetable raw materials, informed earlier by Inform-Devon. Some of the largest Russian oil and gas chemical companies in Russia have already begun to work in this direction, since they may lose a significant share of the polymer market. For example, in Tatarstan, Russian-Italian production of bioplastics can be created. TAIF, which owns “Kazanorgsintez” and “Nizhnekamskneftekhim”, together with the Italian company Bio-on is working on this project.